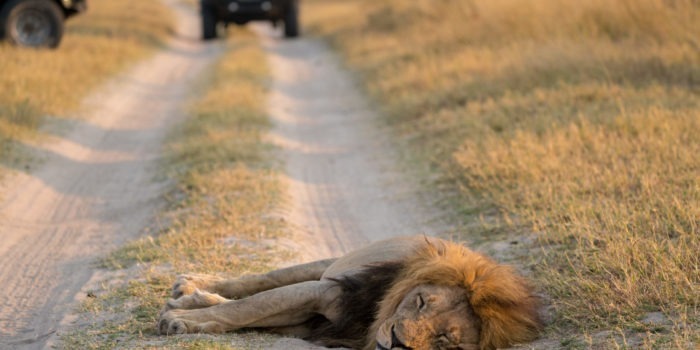 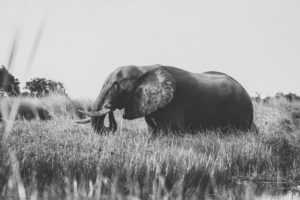 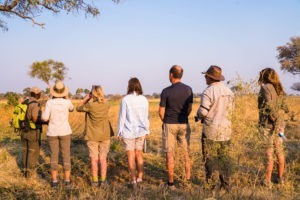 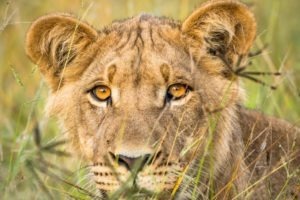 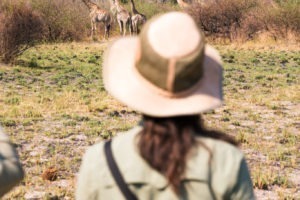 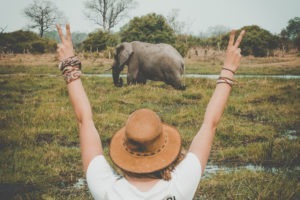 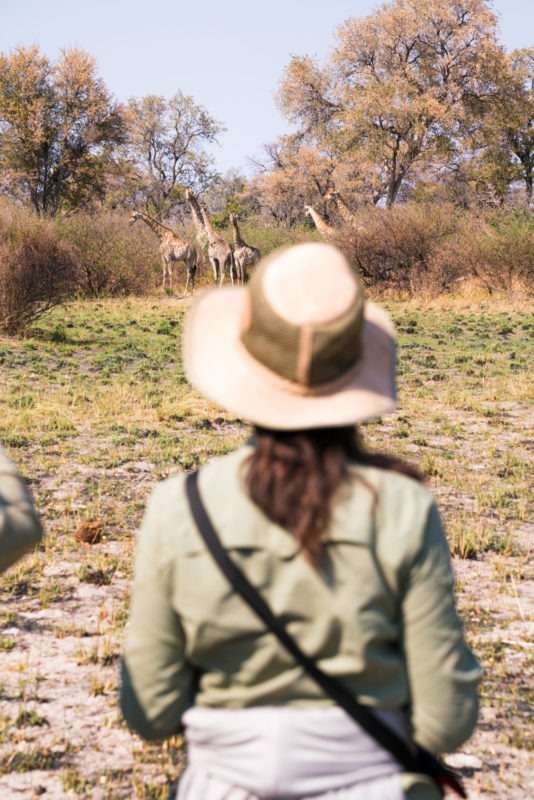 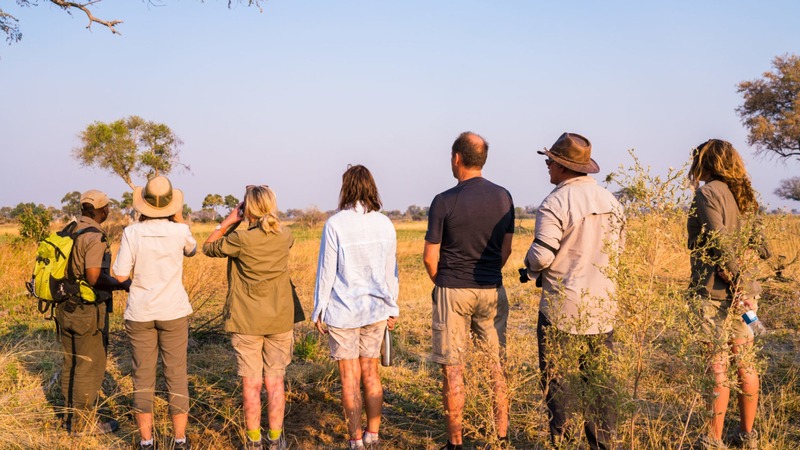 "The best walking and mokoro safari experience in Botswana"
This life-changing adventure is located in some of the most wild and remote areas of the Okavango. 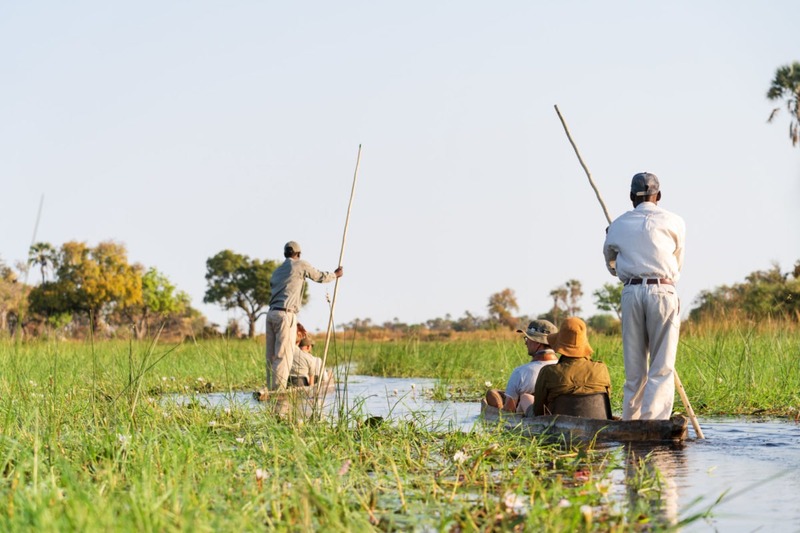 Areas which contain no roads and can only be explored on foot, by mokoro and with a small boat. 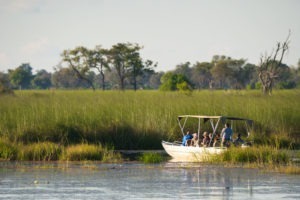 Access to these sites are either by boat (typically 4 hours scenic boating from Maun) or by charter flight. 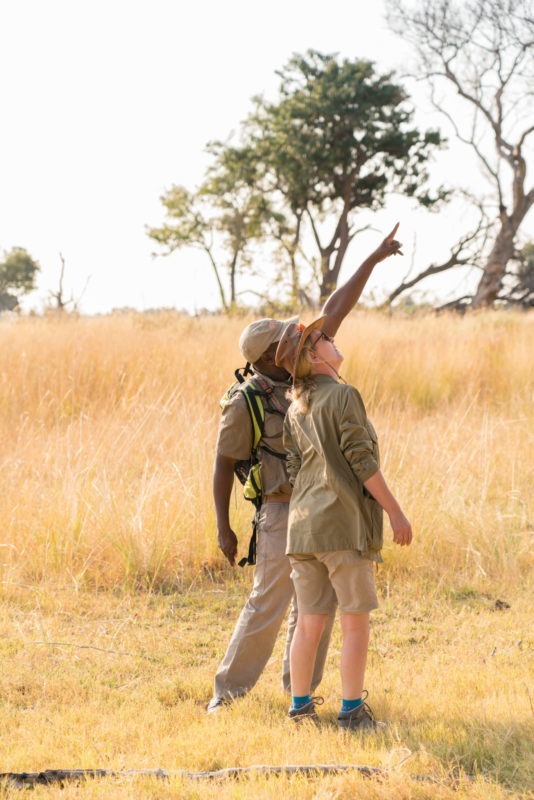 “The only way to truly know a country, is to walk it” This same ideology was adopted by Wild Expedition safaris. 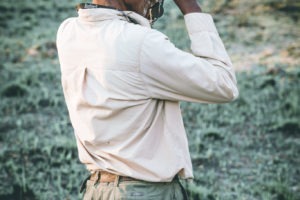 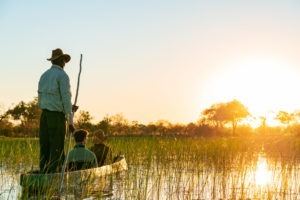 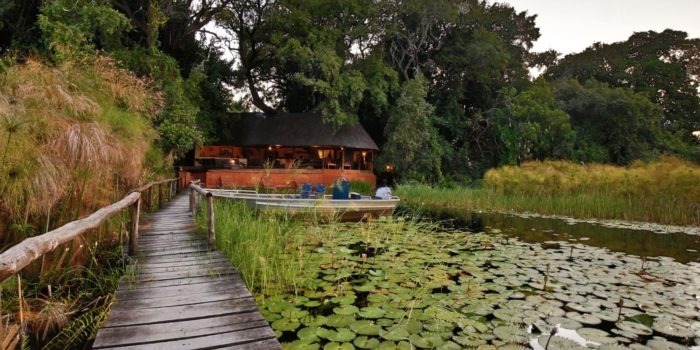 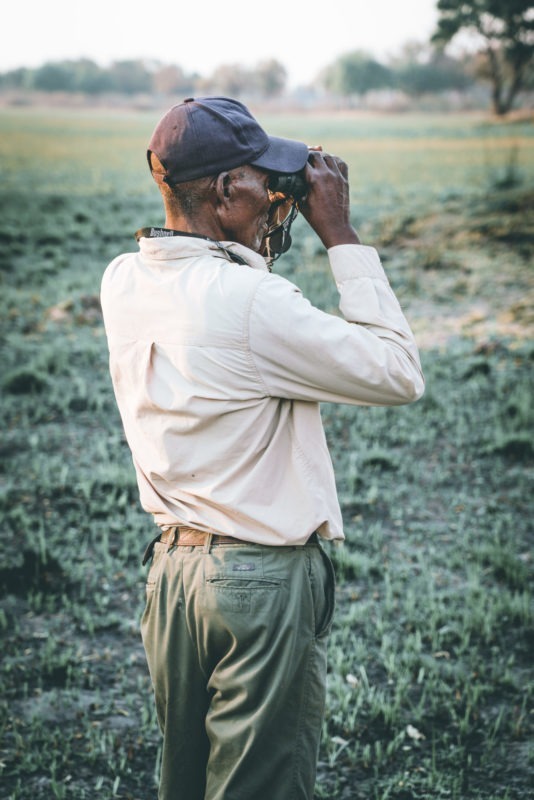 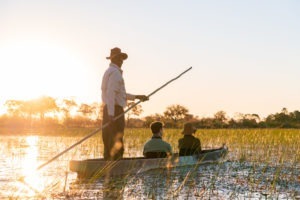 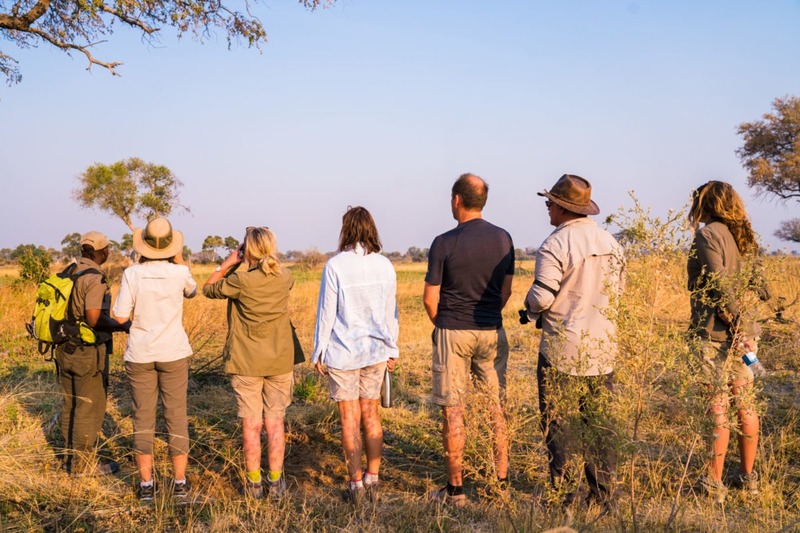 Okwa believes the only way to truly experience the wilderness of the Okavango is by exploring its island on un-armed walking safaris and by mokoro – alongside locals who have lived and thrived in its waterways for many generations. 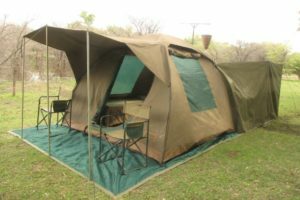 The camp itself is very simple but still boasts enough comfort to ensure you are fresh and ready for multiple days of walking safaris. 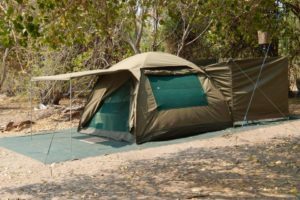 Each dome tent has an en-suite bathroom area which consists of a pitfall toilet and a bucket shower which is prepared by staff with warm water at any time of the day or night. 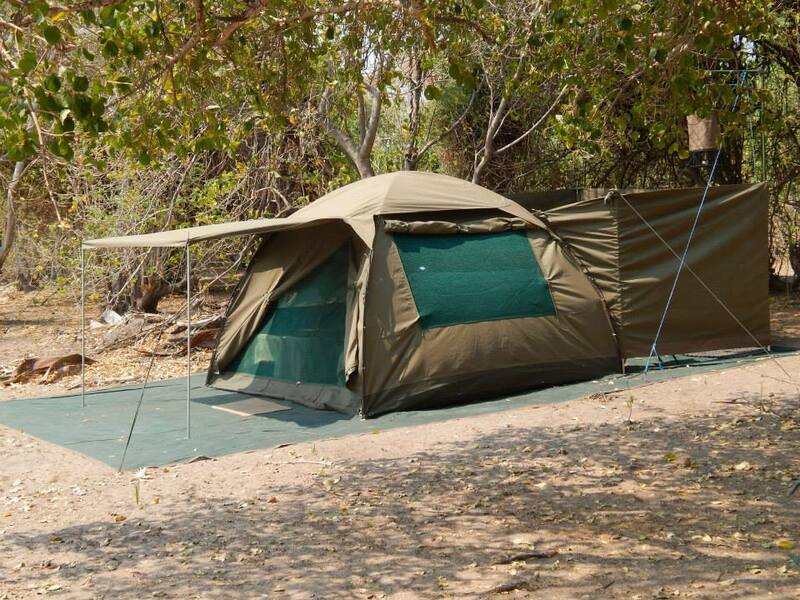 The dome tents themselves have two stretchers with mattresses, clean linen, bath towels and an interior light. 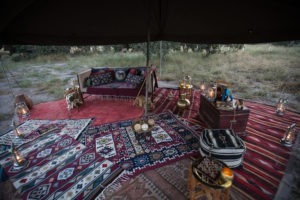 In front of the tent is a hand basin and a water jug which is typically used for brushing of teeth or washing your face. 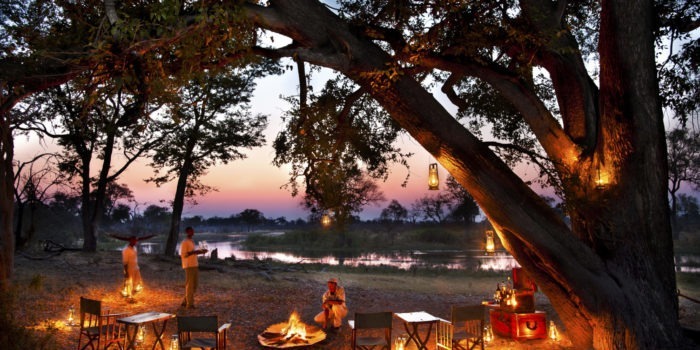 Being a fully inclusive and catered for camp there is a cool box filled with a small but varied mix of alcoholic and non-alcoholic beverages as well as plenty of purified water. 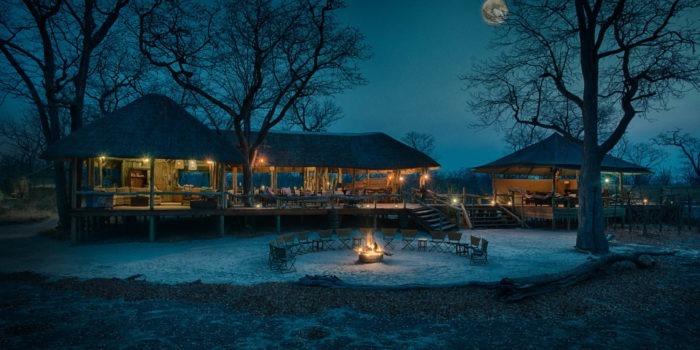 The meals are prepared by experienced bush chiefs whom always seem to be magicians in their ability to cook with little more than a campfire. 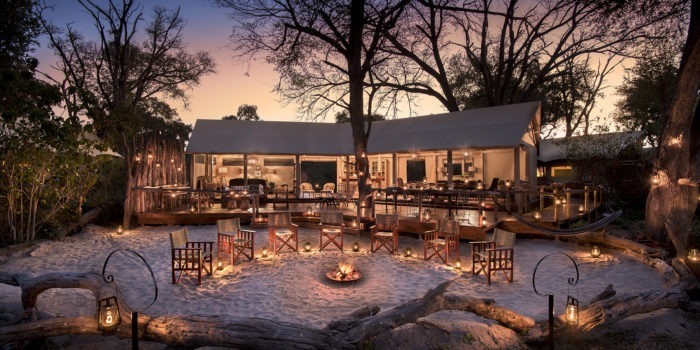 The fantastic meals are enjoyed by the open-air dining table with pre and post diner drinks and stories being shared around the campfire. 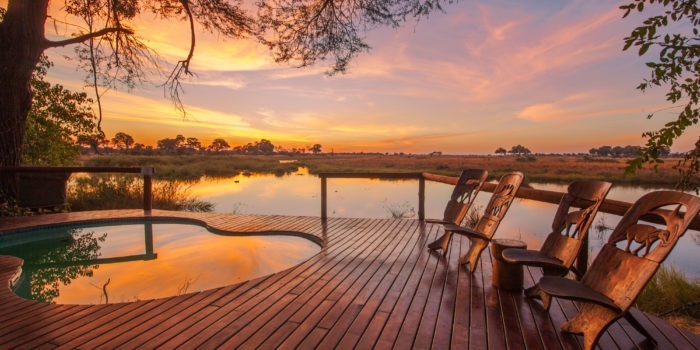 The daily activities typically consist of a longer morning walk and shorter afternoon walk due to temperature increase and guest comfort. 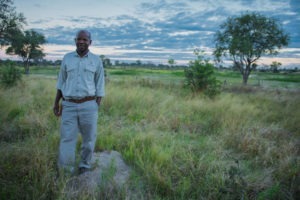 The inclusions and use of mokoro’s does vary depending on the location and whether they are needed to access new walking areas. 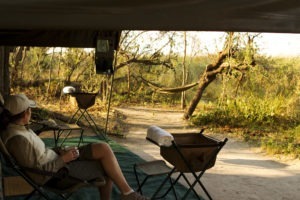 Mokoros have often been used in combination with a shorter walk in previous trips for relaxing afternoon activities. The activity type (walking, mokoro and boating) does vary day by day, per trip and seasonally. 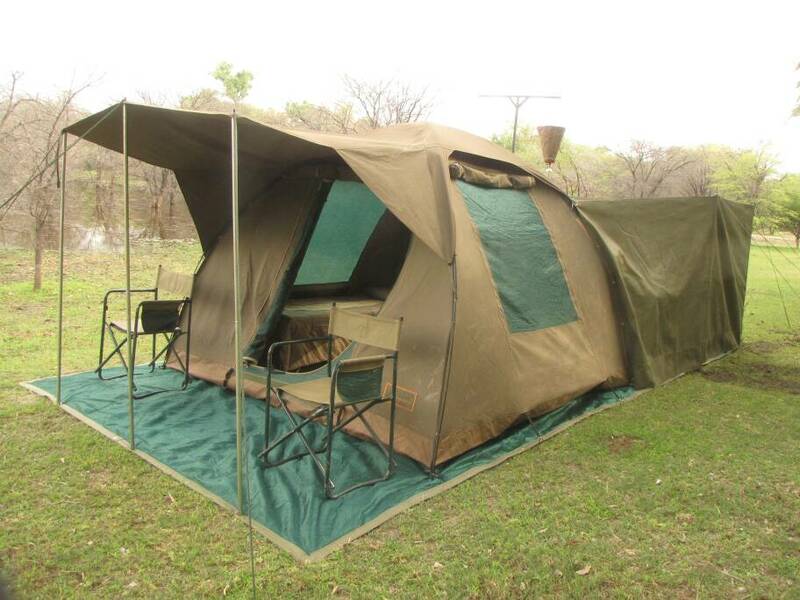 What you must know is that they aim to expose you to the best game viewing, safety and guest comfort at all times. 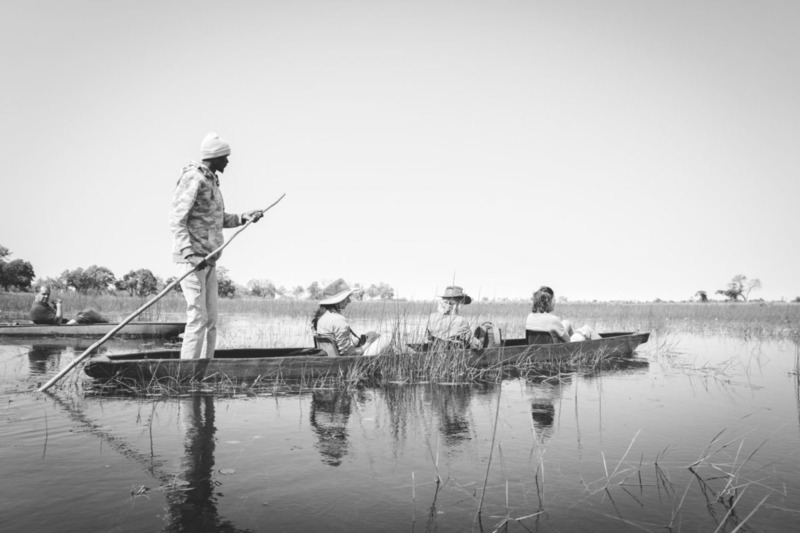 It is all about exploring and celebrating the diversity of the Okavango Delta in the safest and most authentic means possible. 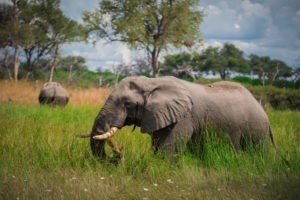 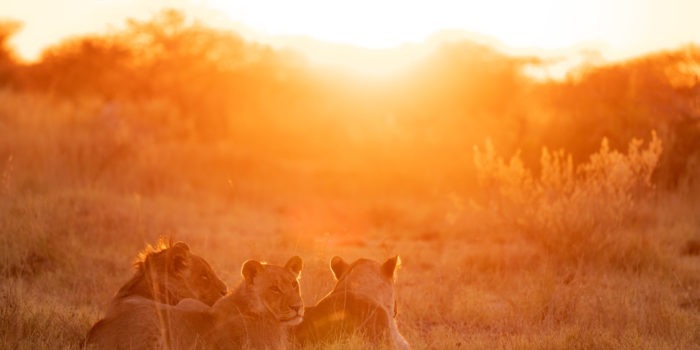 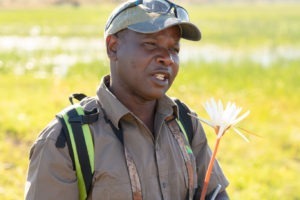 Okwa has more than 20 years of experience in Botswana’s safari industry. 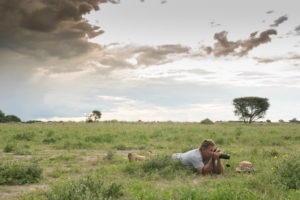 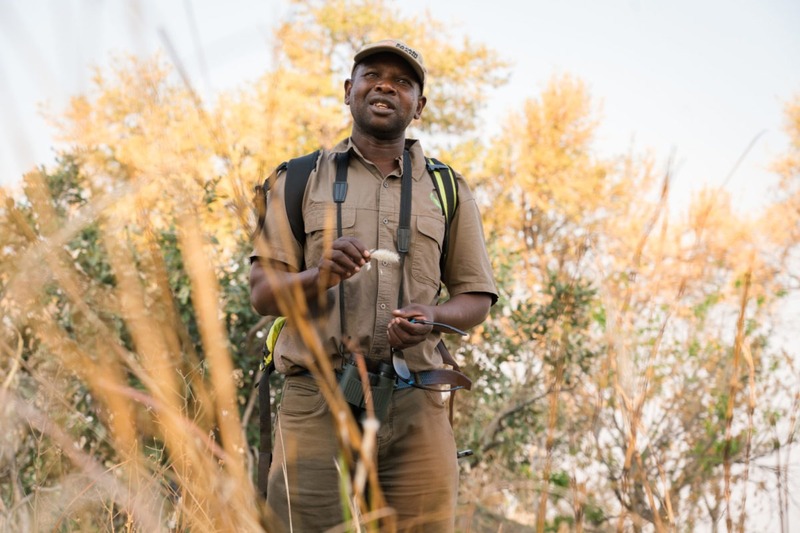 He has worked as guide and manager at some of the most expensive and high-end lodges the country has to offer and has a wealth of knowledge, experience and stories to share. 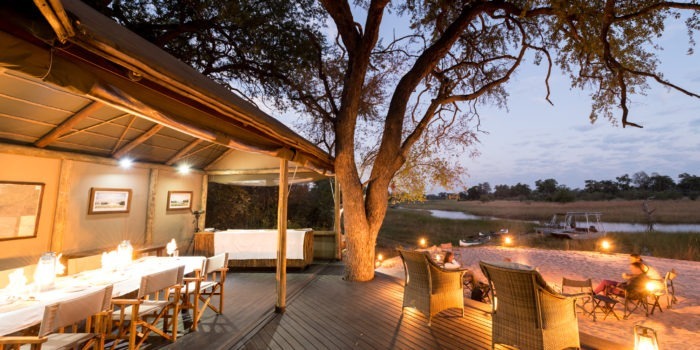 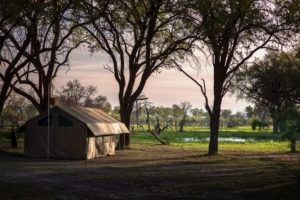 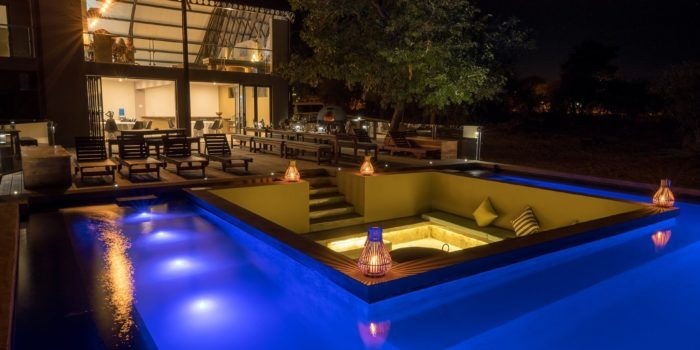 He has, with all his experience, realized that you simply cannot beat the experience of a temporary tented mobile camp which has access to truly wild, vast and untouched regions of the Okavango Delta. 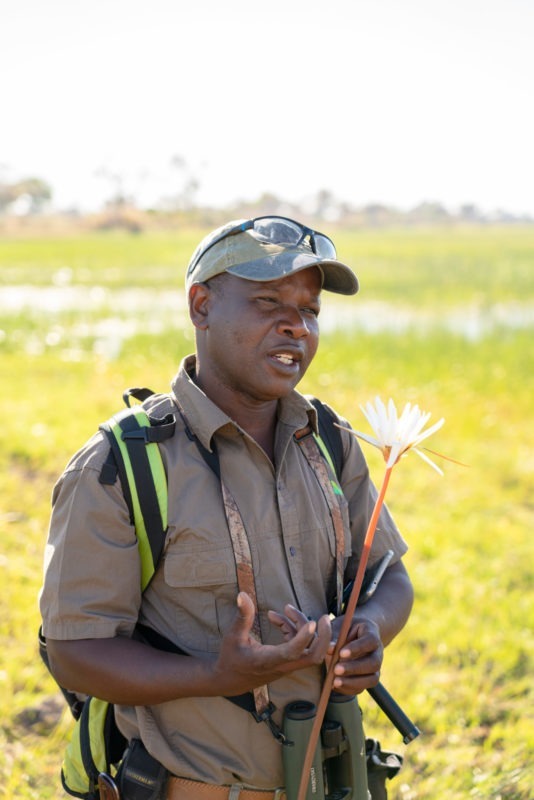 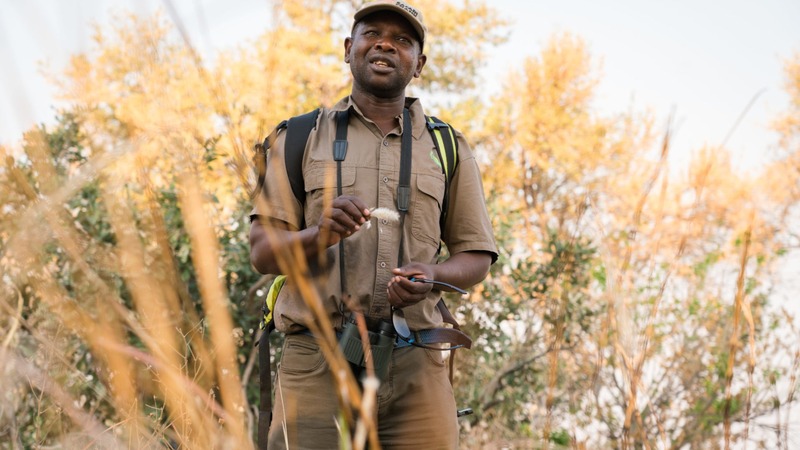 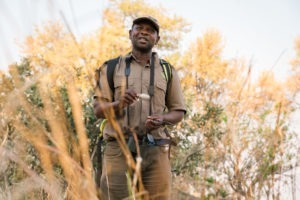 Owner run and guided by Okavango & walking safari specialist Okwa Sarefo, a local guiding legend! 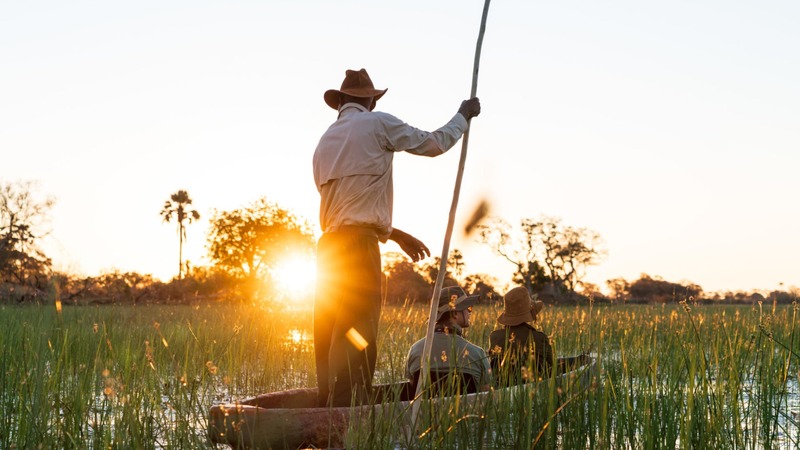 Explore untouched wilderness areas leaving only footprints as evidence of your stay – Low impact. 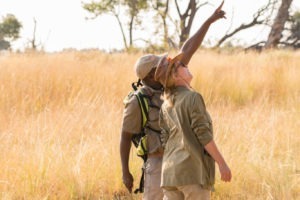 Mokoro excursions allowing for access to different walking areas. 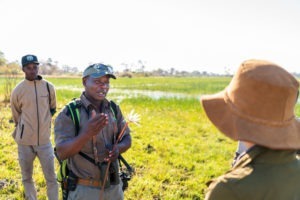 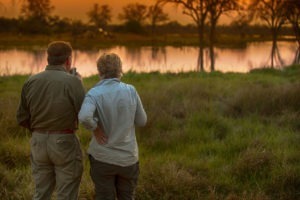 Very informative walking safaris focusing on the diversity and complexities of the Okavango Delta. 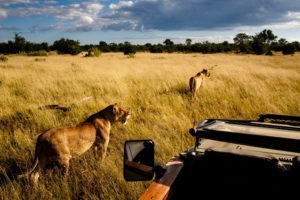 All-inclusive and fully catered adventures – wild but comfortable at the same time.